After spending their dull childhood in a hollow log eating beetles and crickets, this young litter quickly rose to stardom in the Inland Northwest bluegrass scene and has toured throughout the region, performing everywhere from cow pastures, barns, garages, and parking lots, to television studios, bluegrass festivals, colleges, county fairs, and auditoriums. This quintet is made up of 5 siblings – 2 brothers and 3 sisters – who have established a reputation for good music, first rate picking, and a high energy, entertaining show. 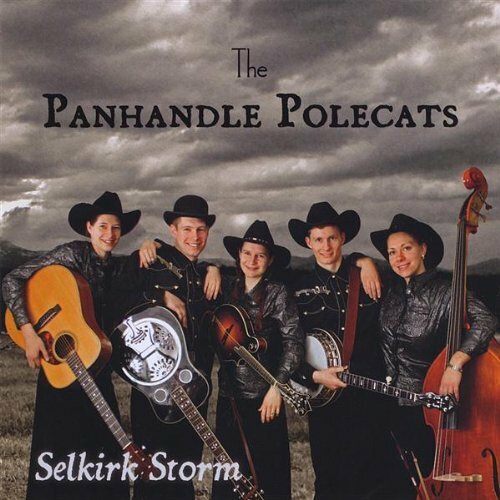 They are not a tribute or cover band, although their sound is deeply rooted in the classic sounds of Flatt & Scruggs, Bill Monroe, and the Dillards, but they play their music with the same kind of energy and enthusiasm as those legendary artists did back when bluegrass was a new musical form. In every note they play, it is obvious that these five siblings love to play music even more than they love to fight with each other. 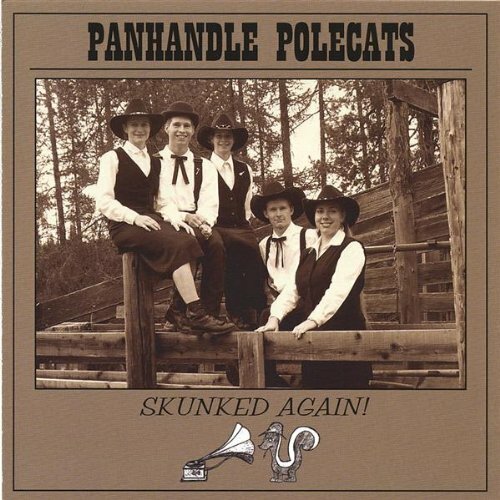 The Panhandle Polecats from Rathdrum, Idaho are a home-schooled family of five siblings that play bluegrass, country, and original music. Molly Wilbur Little on the mandolin, Austin Little on the banjo, Hank Little on the dobro. Bonnie Campbell Little on the guitar and Jennie Little on the bass. Fun song written by Austin Little. Probably a little politically incorrect. Home schooled family of five siblings play bluegrass music. Molly Wilbur Little on the mandolin is 8 months pregnant. She had a very healthy and very musical little girl one month later. Austin Little on the banjo and Hank Little on the dobro. Bonnie Campbell Little on the guitar and Jennie Little on the bass. Festival tee pre-order deadline extended to June 19th, 2016!